Lucas Congdon, owner of Lucas Lagoons and star of Animal Planet’s hit TV series Insane Pools: Off The Deep End will appear at the Tulip Time tulip festival in Holland, Michigan this May. In collaboration with Hollandia Outdoors, Lucas will be available for autographs, photos and more at the Hollandia pop-up garden during Tulip Time. 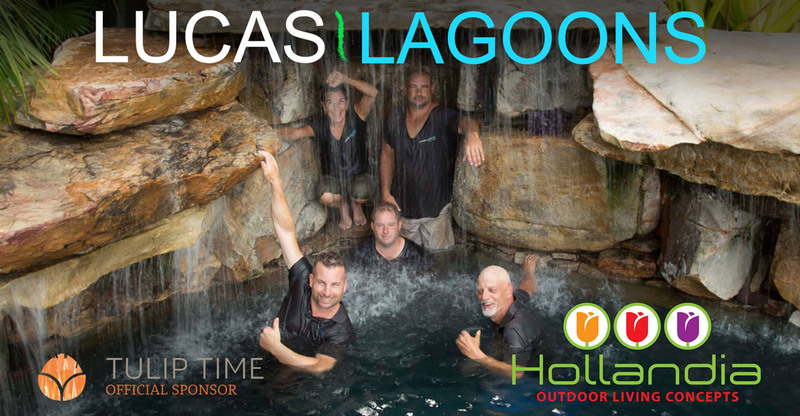 Lucas Lagoons and Hollandia Outdoors have partnered on a luxury outdoor living project in Michigan combining Lucas Lagoons rock waterfall pool expertise with Hollandia Outdoors landscape and outdoor living designs, to create an amazing complete exterior design in Michigan. Get a chance to meet the master behind the masterpieces. Lucas Congdon of Lucas Lagoons as seen on Insane Pools Off the Deep End, will be at Tulip Time. Stop by Hollandia’s display on 8th and Central for a picture and autograph with Lucas.